I always believe 2 things will shape you to who you become in life. A few days ago, I finished reading a New York Times bestseller book: Tools of Titans. This 700-page book was written by Tim Ferriss who also wrote other successful books such as The 4-Hour Work Week. I was attracted to Tools of Titans because it has nuggets of wisdom from over 113 world-class performers. My take is that if you want to be successful in whatever you do. You have to model successful people. People who have already achieved the results you desire. I like Tools of Titans because it is generously peppered with simple-to-copy actionable habits & routines done by these world-class achievers. For most of you whom have been following my blog posts dilligently. You would have known that I am a financial consultant that specialise in helping Muslim families plan their finance, the shariah compliant way in Singapore. As a practising financial consultant, I actively look out and find ways how to combine traditional, conventional business concepts. And synthesize them together with shariah compliant best practices in the Islamic World. In accordance to our glorious Quran and Hadith. So here I present to you…. We can get any information we want using Google. Or borrow books from library. Ask experts in their own field. Yet, what is more IMPORTANT is what we do with the information. Taking action is what matters! Personally, I like attending seminars and I’ve been attending seminars since 10 years ago. These seminars are not cheap – some cost thousands of dollars. When I’m at a seminar, I will give my 100% focus and implement strategies on the spot. If I’m unclear about something, I will raise my hands and even speak into a mic in front of a large audience – just to clarify my doubt. What happens after the seminar ends? I apply the strategies ASAP and turn all my new knowledge into ACTION. My actions have to lead to great results at work. I will ensure that if I invest $1000 in a seminar, my results will DOUBLE, TRIPLE or QUADRUPLE the $1000 I spent. During my “Your Financial M.A.P.” session program, I share with my prospects on how they can clear their consumer loans FAST. And at the same time, save their 3-6 months emergency expenses FAST. Today, you come to me with money problems. Allah S.W.T. move your heart to meet me. I never reach out to you. You are the one who come to me. The fact you meet me is a Qadr from Illahi. I am just the asbab. The intermediary to share with you how you can solve your money problems. If Allah S.W.T. 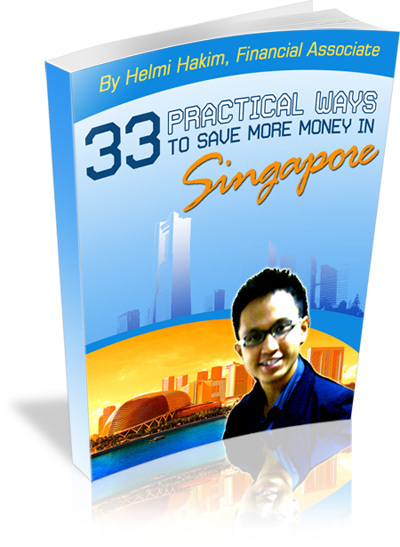 shows you the way how you can solve your money problems, and you dont take action, you are the one who lose out. Allah will not change the people, unless the people change what is in themselves. Doa. Usaha( Action). And Tawakkal. From an Islamic point of view, knowledge (ilmu) and action (amal) work hand in hand together. 2. The best investment is….in yourself. According to Anthony Robbins, paying $35 for a 3-hour seminar (when he was 17 years old) was the turning point in his life. He was reluctant to spend that money at first. Why? Because he was a cleaner earning $40 a week at that time! But he got clarity and direction with that $35 – which was priceless. I continue to invest in myself. I bought books. I took more Islamic Finance certifications. Undergo more business development courses. More personal development seminars. To gulf countries like Oman, Dubai. To all parts of the world. To seek fresh new ideas. And to seek mentors and learn from the best in the industries. To me, once you stop learning, you stop earning. The best investment you can do is… investing in yourself. Even Warren Buffett took a public speaking course when he was 20 years old. Warren Buffett may be a legend in the investment field, but he is still a firm believer of investing in himself. The idea of continually upgrading ourselves with ilm (knowledge) is synonymous with Islam. We educate ourselves to what is right. And what it wrong. How do we know what is right (Amar) and what is wrong (Maaruf)? Through guidance from the right mentors and acquiring ilm (knowledge) by reading. When our beloved Prophet Muhammad (Peace Be Upon Him) received his first revelation in the Cave of Hira’ through the angel Jibril (Gabriel), he was asked to read (Iqra’). and then, Alhamdulillah, our beautiful Deen, Islam was established. This quote is from Kaskade, a five-time Grammy-nominated musician. This quote means: to give time and attention to the important things in our lives first. For example, my ‘big stones’ (or important things in my life) are my family and my work. Imagine holding a glass jar in your hand. And you have sand, small stones and big rocks on a table next to you. When we put the small stones and sand in the jar first, the big rocks can’t get in it. But when we fill the jar with the big rocks first, the smaller rocks and sand can find little corners and spaces to fit in. Everything fits in the end! This metaphor means: to block out time every day for the important things (the ‘big rocks’), first. The little less-important tasks will be scheduled around the ‘big rocks’. For work, the ‘big rocks’ should be tasks which bring you closer to a big work-related goal. Most people will choose unhappiness over uncertainty – according to Tim Ferriss. Many of us are scared of uncertainty and failure. If you want to try something very much. Yet, you are too scared to do so. You can CONQUER that fear using these 4 simple yet POWERFUL questions. • What is the absolute worst thing that could happen if you did what you are considering? • What steps can you take to repair this damage and get everything under control? • What is costing you – financially, emotionally and physically – to postpone this action? • Do you know anyone who is less qualified than you who has done this before and pulled it off? When I am confronted with “challenges” in life. Surah Al Baqarah, Verse 286 in our holy Quran. And then, I do my level best to CONQUER that fear using these 4 simple yet POWERFUL questions. After answering those questions, usually I will feel good. MORE focused. And MORE EXCITED! And I start to draft out my plan. Because I know that 80% of success in any endeavour boils down to preparation! When we are going after our long-term goals, frustrations will crop up along the journey. Some people thought, successful people have it easy. Chicken feet for them. Everything goes as planned. No challenges. For the past few months, I have been studying brands worldwide and was inspired to have my own uniform. I want to look good, carry my brand proudly and appear well-dressed in front of my clients. Thus I spent hours shopping for some good quality shirts. And sent them to have my logo printed at a printing shop. Was told that the whole process will take 3 weeks. I waited for over a month. No calls. No SMS. No whatsapp msges. Then I decided to pay them a visit. To my disappointment, when I came down to collect my shirts, the logo was not printed as expected! It looks amateurish, like plastic stickers pasted on the shirts! I felt disheartened. Angry. Sad. Takaful.sg is my baby. Is my brand! It’s what I have been working so hard, day and night to build it to what it is today! How can they haphazardly smack my brand???! I told myself, we have to stay focused for the long-term if we want to achieve our long-term goal. We can’t be beating ourselves up for small bumps along the journey. “Learn and appreciate the process,” mentioned Coach Sommer. I have learnt much, much more than just 5 Hacks from this book. Every time I open this 700-page book, I will come across a nugget of valuable advice which I did not notice before. If you like to integrate more POWERFUL STRATEGIES in your life. If you will also like to discover aspects on how you can GROW YOUR WEALTH, the shariah compliant way in Singapore, you can always whatsapp/sms me at 96520134 to schedule a FREE consultation.